Zahir Widadi, outside the Batik Museum he helped establish. Note two other things. He is wearing a shirt he made using batik applied with wooden blocks, as they do in India, achieving quite a subtle effect. Also, his hand gesture, which is a Javanese sign of creativity. As a craft, batik seems quintessentially Indonesian. After a dispute with Malaysia about its origin, UNESCO in 2009 officially recognised batik as part of Indonesia’s Intangible Cultural Heritage. To celebrate, President Yudhoyono declared 2 October to be batik day, and called on all Indonesians to wear their national costume with pride every Friday. This proved a great boon to the batik industry, introducing the textile tradition to a new generation. According to the UNESCO decision, batik ‘provides Indonesian people with a sense of identity and continuity as an essential component of their life from birth to death’. Is it possible for a craft that is so tied to national identity to be shared with another culture? This of the Scots and their tartan kilts. No other culture than the Scots would wear or make authentic tartan. Would another culture dare to engage with batik? With globalisation, we see increasing numbers of foreign designers involved in product development. For the last three years, the Sangam Project has been making connections between designers and artisans in Australia and India. This year the platform extends to Indonesia, beginning with a focus on batik. Following last year’s International Batik Festival in Semarang, we developed a workshop on 23-24 May 2014 to explore the benefits and obstacles in designer partnerships, particularly those using the new e-commerce platforms. This involved quite intense design feedback, as local Indonesian producers of textiles, fashion, accessories and gifts were quite hungry for a critical assessment of their suitability in the Western market. The export conference began with an enchanting batik traditional dance, followed by the first of many fashion parades. The combination of fluid traditional dance form and the formalised moves of Western fashion showed how batik can bridge quite wide cultural difference in Indonesia. The following discussion following brought up many important issues. The audience seemed eager to learn about the new e-commerce platforms, though the issue of online purchasing seemed an important matter to resolve. Rather than use credit cards, it seems many Indonesians use a bank transfer system through ATMs, which is negotiated informally through networks such as Instagram. The financial connectors for craft e-commerce Indonesia require more research. Sara Thorn giving her constructive feedback to local designers about how their work might be received in foreign markets. 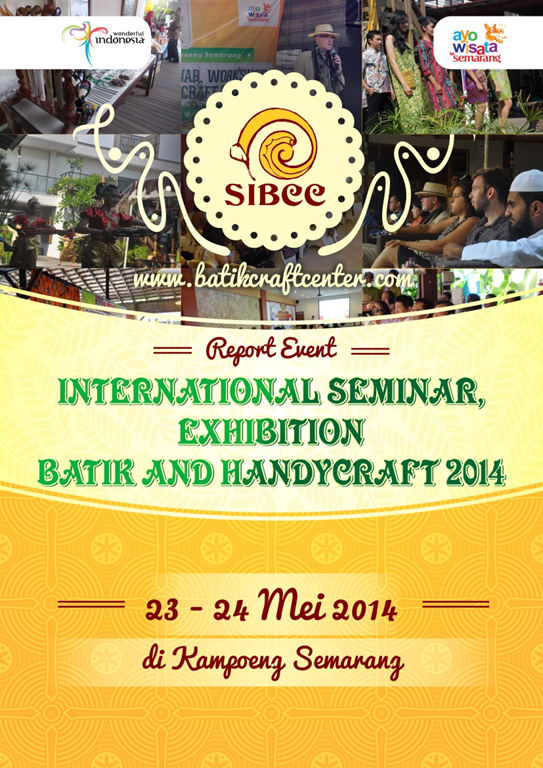 The capacity for design partnerships was demonstrated in a visit to Batik Semarang workshop. Marvelling at the number of caps (copper stamps), designer Sara Thorn made a selection of five stamps and ordered a fabric made from them in a light blue. Two days later, the sample was delivered to her hotel. The visitors were all thrilled not only with the sample but also the ease of production. After Semarang, the designers travelled along the north coast of Java to Pekalongan, which accounts for around 60% of Indonesia’s total batik production. Visits to its workshops amazed everyone with the diversity of materials, techniques and designs. They were welcoming and eager for commissions. Many had not recovered to the production levels that were maintained before the 1998 crisis. The batik infrastructure in Pekalongan was quite impressive. The Batik Museum offered visitors a broad sample of batik from Indonesia’s regions. 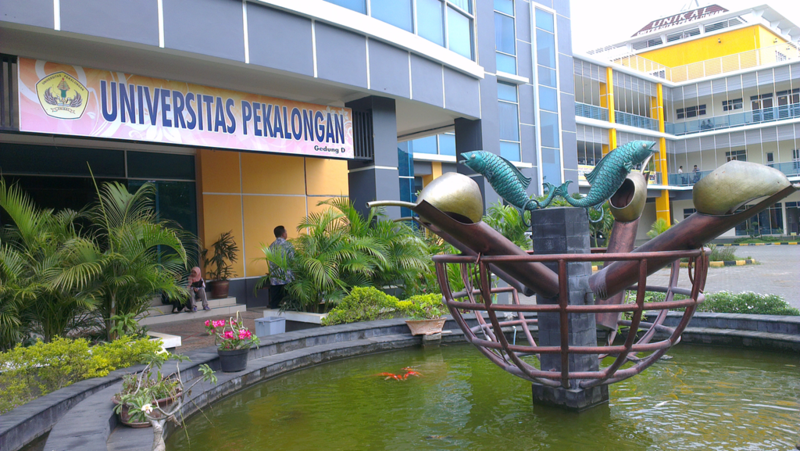 Even more impressive was the development of Fakultas Batik, Universitas Pekalongan, under the leadership of Zahir Widadi. This education unit offers many opportunities for education exchange. This is quite timely given the strong interest from Australian universities, particularly Sydney’s COFA and RMIT and Swinburne Universities in Melbourne. Finally, on the other side of town, the International Batik Centre is an impressive complex of shows, eateries and showroom. This would be the perfect setting a major exhibition of contemporary batik. The water sculpture says everything. The canting tools for applying wax are interspersed with fish, symbolising the north coast. Universitas Pekalongan has invested heavily in the country’s first academic batik centre. Pekalongan batik artist Dudung recounting the story from the Mahabharata in his epic cloth (still unfinished). There were some serious issues to consider alongside the sumptuous textiles. First, traditional batik is quite labour intensive, and many workshop owners were concerned that younger workers are not attracted to the craft, preferring the more formal employment opportunities available in factory work. 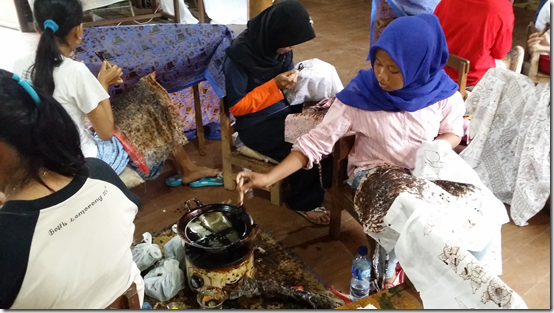 There seems an urgent need to formalise the batik sector and improve conditions for workers. Second, there were some amazing artists making singularly impressive batik masterpieces. These art works are 3-4 metres in length and take more than a year each to produce. Demand from Jakarta collectors is stimulating the production of ambitious works in batik, but they leave Pekalongan undocumented. There were no photographs of the art works produced in Pekalongan, losing a valuable opportunity to promote the medium and individual artists. Many foreign companies are re-locating their production to Indonesia because of low labour costs. These offer good employment opportunities, but they are likely to move elsewhere once wages improve. By contrast, the benefits in craft partnerships are more long-term. Drawing on traditional meanings of batik helps increase its price for a foreign market, which allows for improvement in working conditions. This is more a joint ethical partnership than a race to the bottom. Master block printer from Gujarat Irfan Khatri (middle) with family members of Batik Redaka, established by their grandfather in 1940 after the Dutch left. The grandfather migrated from Gujarat and married a local Chinese woman. So a Gujarati like Irfan was made to feel quite at home. One way of engaging a foreign market is to enhance the meaning of the products. Javanese batik is remarkable for the way it envelops human life, featuring in major rites of passage that mark a human life. 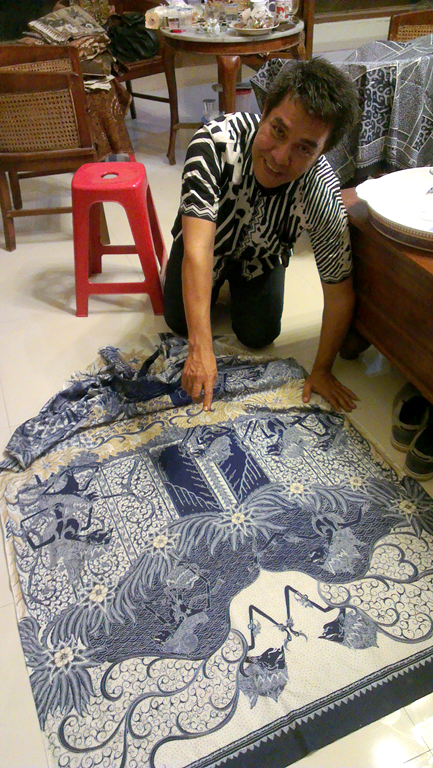 There is even a tedak siten batik to put on the floor as the child makes its first steps. Product development need not just be a matter of adapting to different visual tastes. It can also involve the translation of the stories and rituals that give meaning to other cultures. The West has given many of its traditions to other cultures, such as Christmas and Valentine’s Day. There’s no reason why it can’t receive traditions from the East in return. The welcome and openness of the Indonesians to partnerships in batik was particularly remarkable. It evoked the scene in the 1994 APEC meeting in Bogor, where world leaders were welcomed with colourful batik shirts. While batik seems as Indonesian as nasi goreng or gamelan, they appear eager to share their treasure with the rest of the world. We should continue to honour this gift. World leaders at the 1994 APEC summit in Bogor, Indonesia. Photo: Mike Bowers. Dialog Batik was funded by the Australia Indonesia Institute. 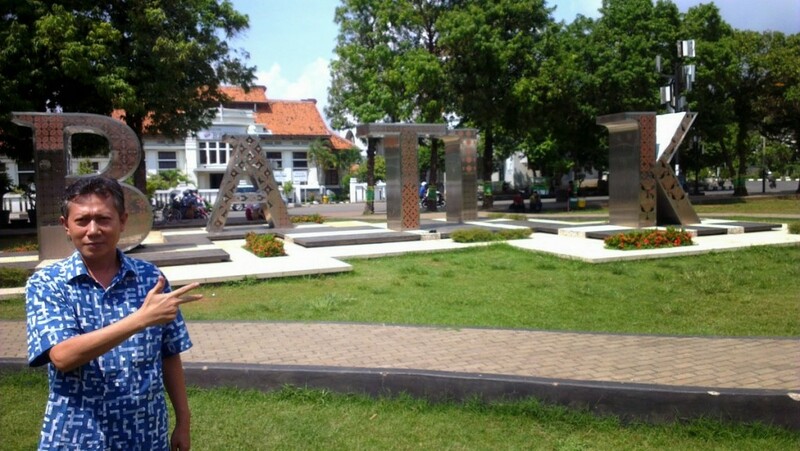 The principle Indonesian partner was Kampoeng Semarang. Thanks particularly to Zahir Widadi from the Universitas Pekalongan. Visitors included Marty Hope, Irfan Khatri, Kevin Mountain, Kevin Murray, Sara Thorn and Carla van Lunn. Thanks for this thoughtful report Kevin. I had been reflecting on how timely and valuable the symbolism & stories of batik prints might be for a western audience. It will be great to see what you make of this batik connection Carla van Lunn. Hopefully we will now have a pathway for others to follow. It was interesting to see how much Irfan Khatri learnt from the experience, which he will take back to Kutch. Back home and adjusting to the cooler weather, have to say the climate in Indonesia seems to agree with me better. I Joined Sara for dinner the last 2 nights in Bali which was great. She is really fascinating and brilliant, I could have listened to her inspirations and ideas a lot longer. 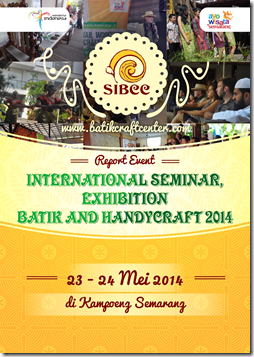 We have decided to collaborate on some things in Central Java and Bali with Batik. Thanks again for having me along to accompany you on Dialog Batik, a very insightful and rewarding journey for me and I got alot out of it on a personal and business level. Not really knowing how it would go or what to expect heading over, it was just nice to have the fairly relaxed ambiance in Semarang on the first day with the product feedback exchanges. Then everything seemed to stem well from there. It was clear to me that batik was heavily imbedded into the culture, being the wear, the uniform and the costume. So the idea of having Batik design reaching further out to a market abroad is wonderful platform. Most of the local product we have seen will probably retain its cultural glory within the archipelago, but the fashion parades showed some hope. 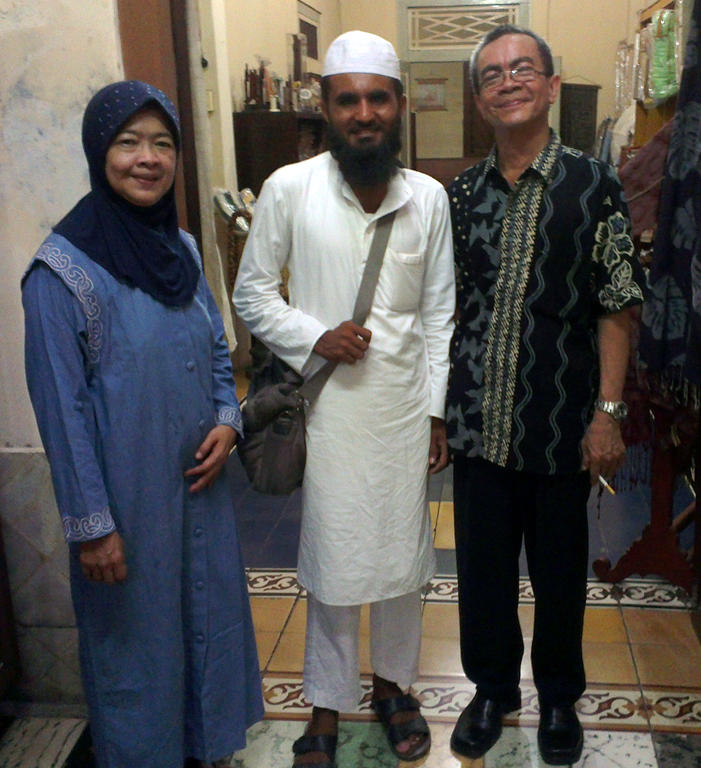 Zahir has been our great host and endearing translator. Good on him for translating all the presentations and dialog, especially the benefits of e-commerce (which held most of the answers) and putting all their issues up front at the university. I feel the group discussion at the university got down to the core of what we should all be mindful of, young peoples enthusiasm, wages, material cost, cotton production, product identity, modern techniques, lack of exposure, labelling etc..
Sara and I both agreed in Bali that Pekalongan is a hidden jewel to produce textile, garment and accessories designs with Batik. It would be so much easier to do it all in Bali with the comfort and familiar surroundings and a host of production options. But the extra effort to be in somewhere like Pekalongan or Cirebon provides opportunity to work with traditional community’s and more like a project of getting to the source so the product links closer. And hopefully finding them a broader product range with appeal to a new market. Look out for a new batik yoga mat, not just where a child takes his first step, but where you take your first stance……who knows? I will use this for the intro to the studio I am teaching at RMIT University. The studio goes for 14 weeks and is titled SANGAM – The Future of Batik. Thanks also for the feedback comments below. I will ask the students to address the core points that were mentioned and welcome any more. Next Next post: What is ‘sentimental capitalism’?